Ryan Hampton is a young man who has made addiction and recovery reform his life's mission. 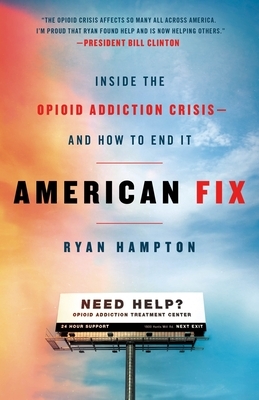 Through the wildly successful non-profit organization Facing Addiction, Hampton has been rocketed to the center of America’s rising recovery movement—quickly emerging as the de facto leader of the national conversation on addiction. He understands firsthand how easy it is to develop a dependency on opioids, and how destructive it can quickly become. Now, he is waging a permanent campaign to change our way of thinking about and addressing addiction in this country. Ryan Hampton is a national addiction recovery advocate and person in sustained recovery from 10 years of active opioid use. A former White House staffer, he has worked with multiple non-profits and political campaigns. He is a leading voice in America's recovery movement, founder of The Voices Project, and has partnered with Michelle Obama's When We All Vote, a bipartisan initiative to register 1 million new voters who are in recovery by 2020. He has been interviewed by NPR, HLN, Forbes, Slate, the Wall Street Journal, and others.